My dear son, always remember that your wife is your life partner, for better or for worse; don’t be harsh with her, even if you are angry with her. Follow this advice, and consider it my treasure to you. 1. Always bear in mind that you have married a woman, not a man. 2. Don’t try to be victorious over her in every battle. 3. Give her a completely free reign in her home and do not interfere at all in her affairs. 4. 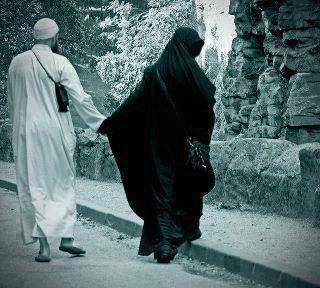 Continuously praise her, especially in front of your family and pay extra attention to her in their presence. 5. No as much as you can about her; be sensitive and pick up on subtle changes. 6. Surprise her with a gift on a day she is not expecting it, and give her little gifts from time to time. 7. Send her loving text messages once in a while. 8. Do not spy on her, and beware of doubting her being overly suspicious. 9. Be keen to satisfy her physical and emotional needs. 10. Have a strong personality without being stern and obscene. 11. Don’t communicate what happens between the 2 of you to your mother. 12. Give her your ear, she’ll give you her heart & mind. 14. Understand the extent of the pressure she faces, then see if you appreciate what she does. 15. Always pamper her and massage her from time to time (sound cooler in Arabic). 16. Call her from work, not to ask about dinner, but to say, “I love you”. 17. Remain composed during any conflict; neither raise your voice nor utter unbecoming words. 18. Honor her parents and speak well of them & invite them. 19. Pay attention to personal hygiene, especially your mouth (breath); and take a bath at least once a day. 20. Use lovely nicknames and address her with terms of endearment. 21. Be merciful and loving, verily, those with big hearts always win. 22. Let her feel how valuable she is, how much you need her and that you are proud of her. 23. Overlook trivial matters & rise above lowly matters; don’t be nit picky. 24. Bury past negative stances & forget them (let bygones be bygones). 25. Ask her how her day went everyday. 26. Stand by her in any disagreements with your children, & share your thoughts with her when alone with her. 27. 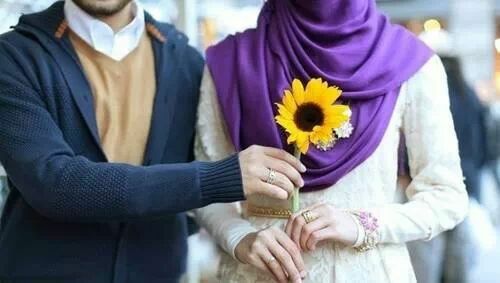 Spend on her from the bank of sweet words without limit. 28. When you get home, look for her before anything else. 29. Don’t minimize her feelings & needs. 30. Go out with her from time to time alone, with no kids. 31. When she’s ill, be gentle with her & care for her. 32. If you hurt her feelings, be extra kind to her and apologize. 33. Be keen to keep a smile; it is cheaper than electricity, but brighter. ’I want to confess to something: I’m dating a woman, but I’m also married. She’s incredible. She’s beautiful, intelligent, quick-witted and strong. I love going to cafes with her, to the cinema, to exhibitions. I love telling her that she’s beautiful. I can’t remember the last time I was angry with her even for five minutes. Whatever kind of day I’ve had, her smile always cheers me up. Sometimes she organises surprises for me. There’s not a day that goes by when I don’t feel so happy that I’ve met her, and that she’s mine alone. Try it yourself; then you’ll see your own life change for the better. Oh, didn’t I mention that the woman I’m dating is my wife? What, you thought it was someone else? I often notice how relationships start to break down because both sides give up trying to understand and get to know each other better like they did at the start. But if you keep going on dates, you’ll learn something new about your partner every time. Why stop doing it? You should never stop doing it! That spark, that feeling of butterflies in your stomach that was there on your first date might not appear again for another two years. But from day to day, you need to behave as if you’ve only just met — then you’ll both notice big changes in your relationship. Communicating and taking a constant interest in each other is the key to a successful relationship. No one wants to be with a person who isn’t interested in them. I suggest that you don’t give up inviting your wife out for a date. Romantic evenings together shouldn’t just end when you put the ring on her finger. Five stupid question, that any woman should not ask any man! 1. & 2. As for the first two; women like attention and they like to be told clearly that they are loved. So don’t be stingy in expressing your love for your wife. If you become limited in expressing your love, you will create a barrier of harshness between you and her, and there will be a decrease in affection.